Home Kids Movie/ Series Review STAR WARS Timeline and Launching of STAR WARS REBELS SEASON 3 on DISNEY XD (Astro Channel 617 & 637). 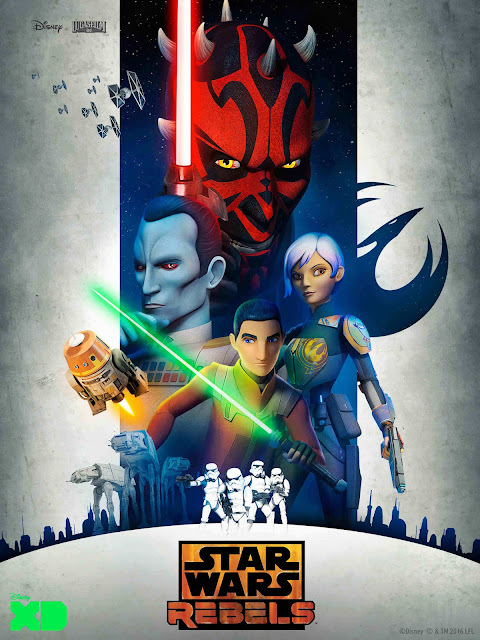 STAR WARS Timeline and Launching of STAR WARS REBELS SEASON 3 on DISNEY XD (Astro Channel 617 & 637). 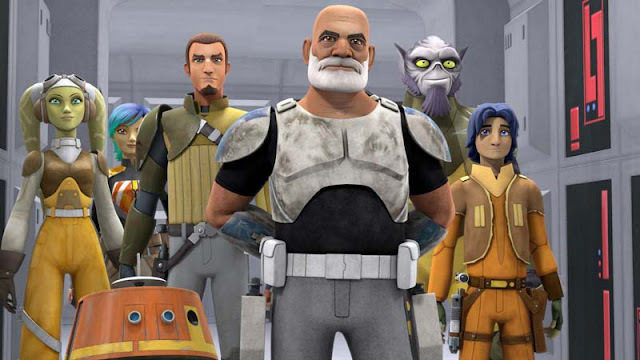 The kids are going to be excited coming school holiday after their exam as the animated series "Star Wars Rebels" returns SATURDAY, OCTOBER 15, 8AM, on Disney XD (Astro Channel 617 & 637) and introduces new characters Grand Admiral Thrawn and Bendu. Do catch the show at it's regular timeslot for Disney XD is every Saturday Sunday at 8.30am (Astro Channel 617 637). While the Rebels gear up for their biggest battle against the Empire in Season 3, the battle within Ezra rages on as he’s torn between the light and dark side of the Force. The last episode of Season 2 showed him opening the Sith holocron that powered the Sith temple – something that can only be performed by someone who thinks like a Sith. 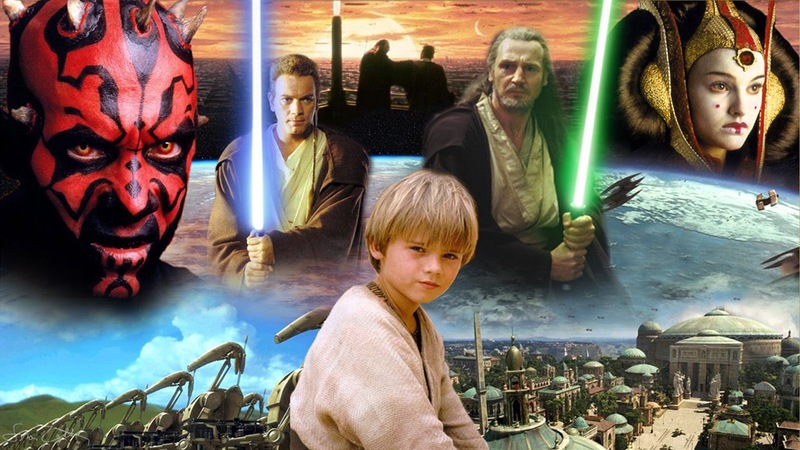 Darth Maul is back since he was last seen in Star Wars: Episode 1 - The Phantom Menace, with an appearance in Star Wars: The Clone Wars TV series. 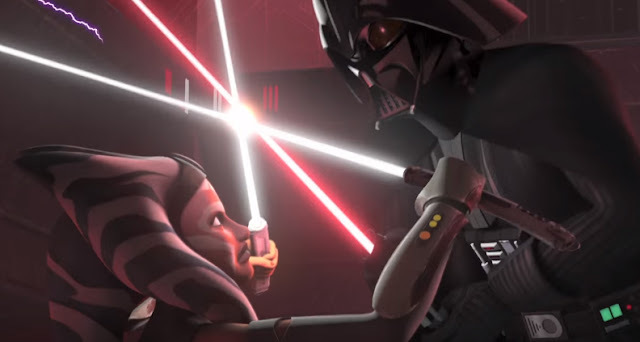 This time, his personal agenda to gain power continues in the third season of Star Wars Rebels, as he’s made it clear he’s neither with the Rebels nor with the Empire. After being blinded by Darth Maul’s lightsaber in the season finale of Season 2, Kanan Jarrus now sports a beard and wears a black mask. The experience has changed his perspective on life and he is made to rely more on the Force as a guide. In Season 3, the Imperial army is now led by the cold and analytical Grand Admiral Thrawn, who’s strategic, tactical and cultural insights make him a threat unlike any the Rebels have ever faced before. Meanwhile, Kanan Jarrus will meet a Force-sensitive ancient being on planet Atollon called Bendu, who claims to represent the center of the Force. Chancellor Palpatine’s power and influence grows as the Clone Wars progresses, as well as suspicion among the Jedi Council regarding the Chancellor’s allegiance. Anakin is then asked to spy on the chancellor but the Council’s refusal to grant him the rank of Jedi Master leads to resentment. 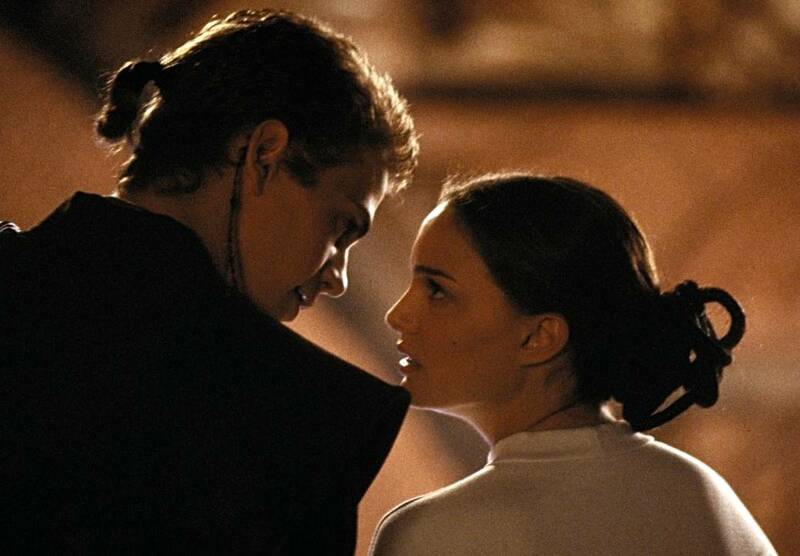 Anakin soon embraces the Dark Side, fuelled by bitterness and manipulated by the fear of losing his wife Padmé, who, unknown to him, gives birth to twins. 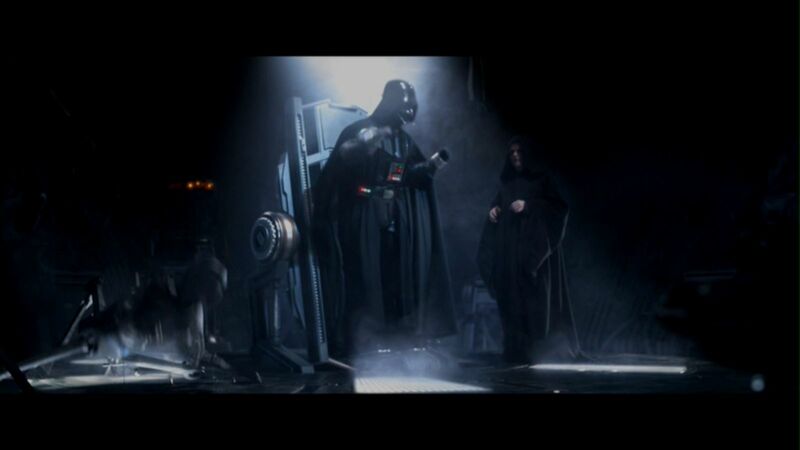 A confrontation between Anakin and Obi-Wan leads to serious injuries; Darth Sidious saves his life, marking the ‘birth’ of the Sith Lord Darth Vader. Thirty years after the destruction of the second Death Star, the First Order rises from the fallen Galactic Empire with an even greater weapon – the Starkiller. 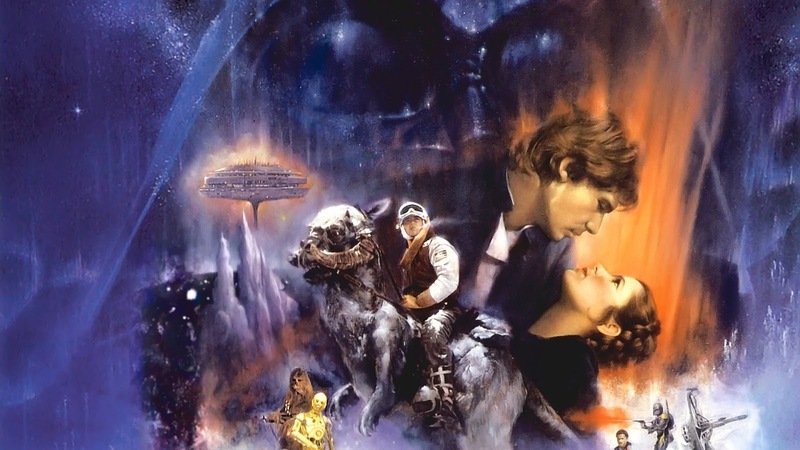 Opposing them is the Resistance, led by General Leia who also searches for her brother Luke. 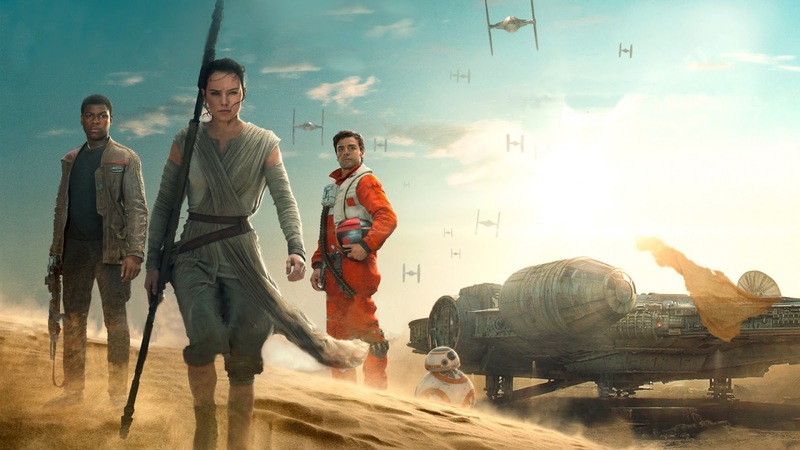 Meanwhile a scavenger named Rey – who shows an ability to use the Force - encounters BB-8, a droid which holds a vital clue to Luke’s location, and is taken captive. Former Stormtrooper Finn, Han Solo and Chewbacca attempt a rescue, with Han confronting his son, Kylo Ren, leader of the First Order. 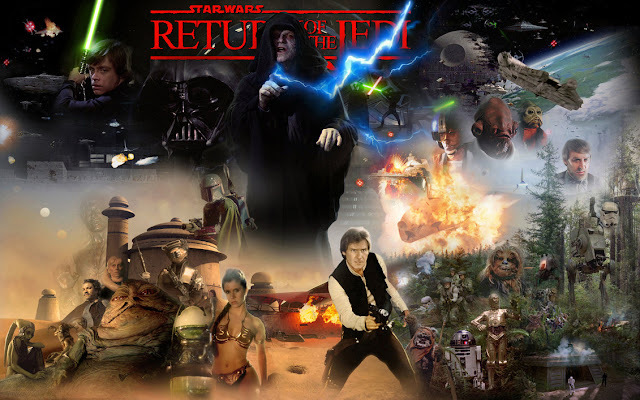 Han is killed and the Starkiller Base is destroyed; soon after, Rey follows the map hidden on BB-8 and R2-D2 to Luke’s location on planet Ahch-To.